Learn about the latest experiences and achievements of our international students. Happy Birthday to all the international students who were born in January and February. The celebration was successfully arranged during lunchtime on Thursday 14th February in Room 18. All 12 students from different year levels received presents and cards from school and enjoyed a surprise birthday celebration. This wonderful celebration gathering indeed made international students feel at home. Thanks goes to Bao Li Min and Li Yi Zhen from year 10 for decorating the room. 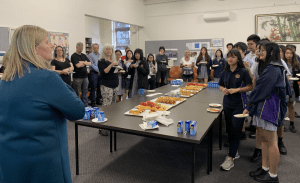 The annual New International Student Welcome Breakfast on Tuesday 12th February was a great success. 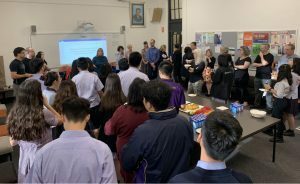 All 30 new Year 10 and Year 11 international students enjoyed a nutritious and sumptuous breakfast with their teachers, principals and program leaders. Ms Harrap spoke to give a warm welcome and well-wishes to the new international students. Students enjoyed the friendly and happy chats with teachers and felt at home. On Tuesday, 5th February, the actual Lunar New Year’s Day, all international students at Northcote High School enjoyed a sumptuous New Year celebration dinner at Gold Leaf Restaurant Preston with school principals, program leaders and the teachers. International students felt very grateful to the school for getting all international students together to celebrate their most significant traditional festival when they are so far away from home. Acknowledging and celebrating international students’ cultural events can help them to ensure their cultural identities and create a sense of belonging. School leaders spoke at the dinner party to wish our students a very happy Lunar New Year, as well as a very successful school year. In return, international student captain (Isa Pham) spoke to thank the school for being caring and thoughtful, as this wonderful dinner gathering indeed made international students feel at home. Our ELC students are finishing their school year on a high note, as they had four fun excursions in Week 9! On Monday the group had a great time at Latitude – for most students it was their very first try on these adventure sports, like climbing, bouncing and flying. On Tuesday at Healesville Sanctuary the students appreciated the nature beauty in the country, and especially loved their close encounter with native animals. At Melbourne Museum on Thursday our ELC students enriched their knowledge about the First People on this land and they were truly impressed by the most wonderful culture and arts of aboriginal people. Ice skating on Friday afternoon proved to be more than just a physical challenge – for some students to keep balance and to stand up were a hard chore! But it was so much fun! The ELC group was also in high spirits to celebrate Xmas! On Friday morning they made Pavlova and did Kris Kringle! These great experiences in a new country and new school were very new to them too! Yarina (LI yizhen) also had a surprise birthday celebration on Friday. She was very happy and quite moved, as that was her very first birthday in Australia! Our ELC students and their families are very grateful to our great teachers for offering rich learning experiences. On the afternoon of Thursday 13th of September, the International student “Super Debating Team” had a magnificent session. The topic was “Happiness is not just the mere possession of money”. Throughout the ‘heated’ debate, the students had thoroughly researched and presented their arguments well. The speakers from both teams demonstrated great English literacy confidence in their 2nd language! The audience was very impressed by the performance of our student speakers. The affirmative team (Dao Phuong Dung PHAM, Xiaoxuan YE and Linh Tu NGUYEN) won the debating by 1 point! This year the adjudicators were from the NHS Public Speaking team. Thanks very much to Ms Haeyun EOM, Ms Ngoc Diep NGUYEN and Ms Ziyan LI for being so professional. Ms Huong An DO was the timekeeper. Thanks very much to Mr Martin Ramsay and Ms Jocelyn Hill who presented certificates to the speakers and spoke of the importance of these opportunities to the future success of the students. Thanks very much to all the NHS international students for being a great audience! Special thanks to Mr Ramsay for his absolute endeavour in organizing and training the international debating team throughout the year. After the debating show, the NHS International Student Debating Team enjoyed a great dinner together in Pizza e Vino at High Street Northcote to celebrate their achievement. Assistant Principal, Ms Hill, Mr Ramsay and staff from the International Student Office, also attended the dinner to support our International Students. It was a very pleasant evening enjoyed by all! The ELC student group and their local buddies took part in the Experience Victoria Program this week. All participating students enjoyed the program and appreciated their experiences enormously. The program is offered by the International Division aiming to provide new arrival international students opportunities to learn about and to integrate into local communities. The program incorporates 3 separate day’s excursions and a half day Cultural Workshop. The Day 1 excursion to Ballarat was on Monday, 10th Sep. Students visited Ballarat Wildlife Park, Eureka Centre and Federation University. They were introduced to wildlife, indigenous culture and their food. The Day 2 excursion was on Wednesday, 12th September. Students visited famous features in the Dandenongs, which included Grant’s Picnic Ground, Rayners Orchard and Monash University Clayton Campus. Students learnt about Australian agriculture on a working farm and fresh farm produce. Students thoroughly enjoyed the eye-opening experience. The Day 3 excursion was sightseeing Melbourne CBD on Friday, 14th September. Students toured the CBD, visited the MCG, the Chinese Museum, the University of Melbourne and RMIT University. By the end of the day students had a good grasp of Melbourne being a very diverse and multicultural society. Our new students were also fascinated by the Melbournian trams! Over 100 International students from 5 government schools took part in this enrichment program this year. Three Northcote students; Ngoc Diep (Jane) Nguyen, Dao Phuong Dung (Isa) and Chenxi (Isabella) were selected to represent N.H.S. in the competition. Our students’ performance was indeed remarkable. Jane won first place in her section and both Isabella and Isa spoke exceptionally well. Congratulations to Jane, Isabella and Isa! The International Student Public Speaking was initiated at Northcote High School in 2015, led by Martin Ramsay and the International Student Office. The program has grown rapidly over the last 4 years; this year we were pleased to see that 30 contenders from 15 schools entered the competition. The 4 judges were Sue Harrap (Principal, N.H.S. ), Andrew Arney (Assistant Principal, Melbourne Girls College), Rebekah Keenan Mount (Head of English, N.H.S. ), Elaine Doyle (Kew High School). The I.E.D. was represented on the night by Connie Clark who also said how much she enjoyed the evening. On Tuesday the 21st, period 5, a cultural exchange was occurring. The new International students from Huaibei High School in China had arrived on Friday, and Miss Chiang’s year 9 Chinese class were speed interviewing the exchange students. Everyone was very excited, and the year nines were bouncing off the walls at the thought of a chance to practice their spoken Chinese with strangers their age. At first everyone took a while to warm up, but quite soon you could hear fluent Chinese being spoken throughout the room. It was great to practice our Chinese and learn about the culture first hand from other teenagers. It was a great learning experience and everyone enjoyed it. Some of the students from Miss Chiang’s class have even added the exchange students on WeChat, a Chinese messaging app. Overall it was a successful lesson and lots of fun. The lesson was structured perfectly, everything was organised really well, everybody got an equal chance to talk to the exchange students. We talked to the exchange student in Chinese. I felt very good when talking to the exchange student because I felt like. I knew what I was talking about. Their English was very good and all of them were really smart. The Class on Tuesday was a good experience because it showed how much I have to improve with my Chinese skills. I enjoyed meeting the people but it was a humbling experience. The class set up was good but I felt like I was constantly repeating myself and all the students were soon disinterested. Thank you Miss for setting that up for us, experience like this is what will improve our Chinese in leaps and bounds. On the Tuesday 21st of August, we met several students from Huaibei High School. Our tasks were to interview them in Chinese and advance our conversation skills. At the start of the task, I was not extremely confident and I was a little scared. I eventually became less scared and I am now more confident with my speaking skills. My highlight was when I exchanged phone numbers and wechat with two students. I enjoyed speaking with the students and can’t wait to do the same with other students in China. On Wednesday the 22nd, the Year 10 VET Chinese class met about 15 students travelling from our sister school, Huibei No.1 High School when they came to give us some much needed practice on our Chinese conversational skills. We talked to them about everything ranging from animals at the Melbourne Zoo, to sports they played and hobbies they enjoyed. They told us all about life in China, what there school was like and what they enjoyed doing at home. We also all talked about our cultural differences, including things like food and mannerisms. Some of us shared out contact details to we can keep in contact with the students we met. We had a lot of good conversations and made a lot of new friends. On August 17th our special guests from our China Sister School – Huaibei No. 1 High School arrived at Melbourne Airport to commence their annual visit to Northcote High. This visiting delegation of 3 staff and 14 students brought the number of such visits to 19. Next year marks the 20th Anniversary. This was another highly successful visit, further cementing and celebrating our long and rich relationship. Over their weeklong stay in Melbourne our guests enjoyed a full, fun and culturally rich program. Our guests were also very appreciative of the warm hospitality our Northcote High School Homestay families offered. Student guests very much enjoyed their Australian home life experiences with their NHS homestay buddies. The school is very grateful to our families for being on board and to be such an important part of the long lasting Chinese sister school program over many years. We hope their experience and cultural understanding gained was positive and rewarding to their family too. In return the Northcote High School Sport Delegation (30 students!) will be on their 19th visit to Huaibei No.1 High School in late September. We know they will receive a very warm welcome too. The school held a Welcome Breakfast on Tuesday, 7th August, to welcome English Language Centre Students and to wish them well. The 11 ELC students and teachers enjoyed the nutritious breakfast and most importantly the inspiring conversations during the breakfast. Thanks to staff for teaching the ELC group and making our new students feel at home. On Thursday, 2nd August, our ELC students visited Preston market and the local library to explore and learn more about the local community and its culture. They were fascinated by the multicultural display and atmosphere in the market: the friendly people, the great variety of fresh foods, the delicious cuisines, the interesting household goods and much more! Our students wanted to learn about them all! They asked questions, interviewed shop owners, took notes and photos. Students also tried new foods and learnt about the origin of these foods from cafe owners. Students were thoroughly immersed in the local cultural exploring and learning and enjoyed themselves. At the Preston library students learnt about the library’s history and the important role the library plays in the lives of the local community. Students also learnt how to apply for a local library card and they planned to use their local library services in the future. This semester we are launching our very own English Language Centre (ELC) for students who will join us as International Students in 2019. We are very excited about this, since we know it will be a huge advantage to the students. This gives our International Students another 6 months to form relationships and connections to NHS, and to homestay families as well. Additionally, we can guarantee the voracity of the English Language Program. Jocelyn and Lixia have worked extremely hard to get this off the ground, not just this year, but in doing the preliminary work over preceding years. We are delighted that Rosalie Maidment will be leading the program. These students will get to know and explore the local community and its services through the enrichment program that sits alongside their studies. They will attend a stand-alone EAL class, a stand-alone Subject Specific EAL class, and then will be integrated within the timetable for other subjects. They will mainly be in Year 9 classes, but some students may also appear in Year 10 Maths subjects. 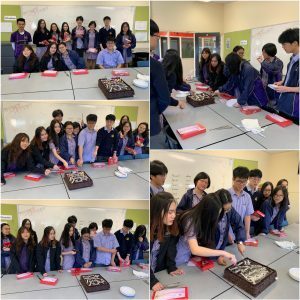 We wish these students, and all of the staff who will be supporting them, all the very best of success, and congratulate Jocelyn, Lixia and Rosalie on reaching the launch milestone. The International Student office staff team worked tirelessly over the school holidays to welcome 12 ELC students and their families (many came with parents) and settled them into their new host families. 3 more students are expected to come once granted visa. Our new ELC students have been thoroughly enjoying the great NHS experience and immersing themselves in the exciting, inspiring and encouraging learning environment NHS offers. On Thursday the group had their very first excursion to explore the Northcote local community and its culture and they loved it! 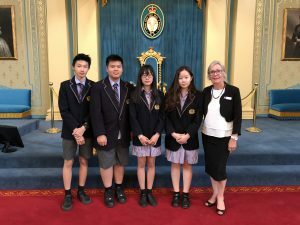 On Tuesday 20 March, four International students (Ge Zhao Ying, Minh Chau, Javier and Sang Chatthathireach) went to Government House to attend the Victorian International School Student Welcome Reception 2018 as Northcote High School representatives. During this highly anticipated annual event, international student representatives from government, private and catholic schools in Victoria received speeches from Linda Dessau AC, the Governor of Victoria, Judith Graley, the Parliamentary Secretary for Education, and Sovann Eu, an award-winning student speaker representing Victorian international students. In their speeches, both the Governor and Parliamentary Secretary welcomed international students from all over the world and wished them all success studying and living in Victoria. International student attendees also appreciated the great opportunity to tour the splendid Government House, and enjoyed morning tea and photo opportunities with the officials and new friends. Our four International student representatives felt that it was a great honor and privilege to attend this great event. 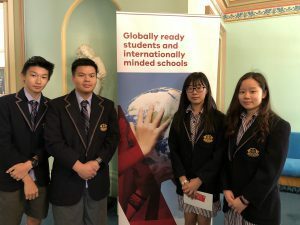 They said that knowing the Governor and Victorian schools welcome and support international students gives them confidence and comfort to focus on life in school and community and to try their best to achieve success. 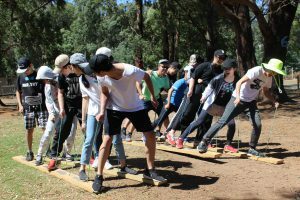 The year 11 international student group enjoyed three days of outdoor education experience at Marysville Camp. 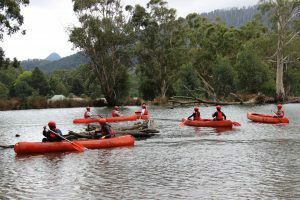 Camp highlights included climbing, abseiling, canoeing, bush-skills, low-rope and environmental sustainability education. Students were thoroughly immersed in the eye-opening and very stimulating outdoor experience and appreciated the opportunity to experience more of Australian lifestyle and natural beauty. The competition was held on Tuesday 22 August and involved 10 schools. These included: Bendigo Secondary College, Doncaster Secondary College, Firbank Grammar, Melbourne Girls College, Mount Clear College, Northcote High School, Reservoir High School, Strathmore Secondary College, Thornbury High School and Viewbank College. 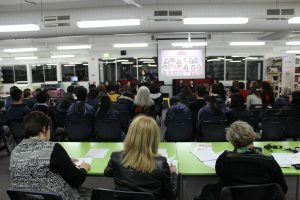 The judges were Karen Money (Principal of Melbourne Girls College), Kate Morris (Principal of Northcote High School) and Lea Volpe (Acting Principal of Reservoir High School). This is the third year of the competition and the topic was ‘Art is essential to life’. There was a wide range of responses to the topic, including discussion of rice terraces, the Japanese tea ceremony, vegemite, quotes from Pablo Picasso and stories about Vietnamese poetry. The students demonstrated great courage speaking in a second language in front of an audience including a large number of Year 10 international students. All the speakers did a great job and we were privileged to have Connie Clark from the IED in the audience. 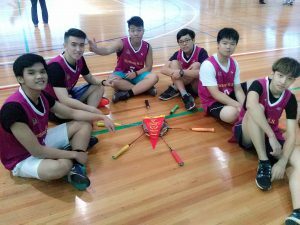 The International Student Badminton Team, composed of Ziqi CHEN, Zhijian DENG, Hoang Nha Nguyen, Justin XU and Haotian XUE, represented Northcote High School in the Northern Metropolitan Regional Badminton Competition on 1 August 2017. Our team played against Hume Central Secondary College, Epping High School and Macleod College and were awarded the runners-up prize in the championship final. The school is very proud of our international students’ achievements. Their hard work and commitment to training is really paying off! We offer an exciting range of co-curricular activities.